The name says it all, the only thing left is to get it on your table and food! Farm to Table is back! and guess whose helping to bring it back, yes, you and I. "I love the name and I love the sauce even better." Georgia Heat-n-Sweet Pepper Sauce is made using the original recipe for hot pepper sauce, in its humble beginning. Experience what made hot sauce what it is today. No worries about artificial ingredients because Georgia Heat-n-Sweet Pepper Sauce is made from 100% percent all natural ingredients. Healing powers like no other, just research the Healing Powers of Apple Cider Vinegar, widely recognized as a valuable weight loss tool and a potent elixir. Find out how vinegar's curative powers can also help prevent age-related diseases like cancer, heart disease, and bone loss. BBQ and grill better than pros with Georgia Heat-n-Sweet Pepper Sauce! 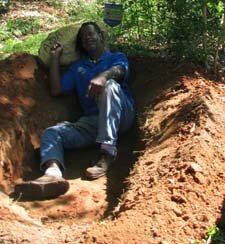 Distributed exclusively at and by Humble Farm Refuge, INC, for guaranteed goodness. We know what quality food is supposed to be. Cook with the confidence in knowing you are using the best quality on the market today, from yesterday. We don't just focus on heat or flavor, but our number one priority is bettering your health. Your body and food demands this great condiment, you just have to try it, to compliment all meals. Even tasting it alone is good for your health, strengthening your immune system. For Health conscious people, Georgia Heat-n-Sweet Pepper Sauce is a must have. Our sauce is very nutritious, it helps with: weight loss, packed with essential minerals and vitamins, combats congestion, enhances eye health, reduces risk of cancer and reduces aches and pains. Georgia Heat-n-Sweet Pepper Sauce is one of the most important spices to have in your kitchen flavor and your cupboard for medicinal purposes. Not only do you get the flavor, but health benefits too. Flavor meats, vegetables, soups, salads like never before! 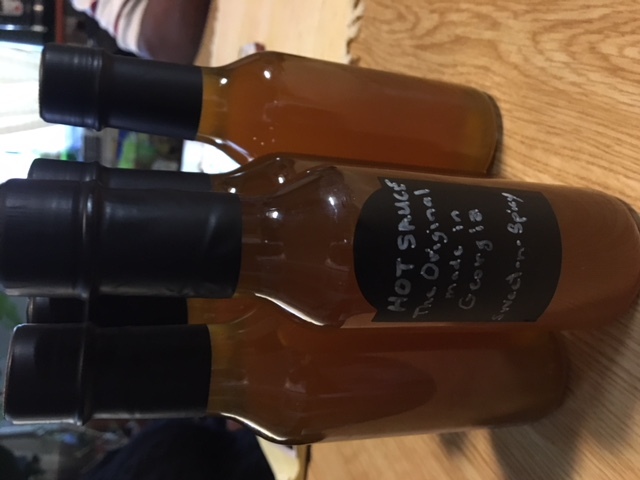 Georgia Heat-n-Sweet Sauce is made from a combination of the best hot peppers grown in Georgia, at Humble Farm Refuge, INC.
After reaching maturity, a variety of hot peppers are selected, harvested and bottled, ready for your table. 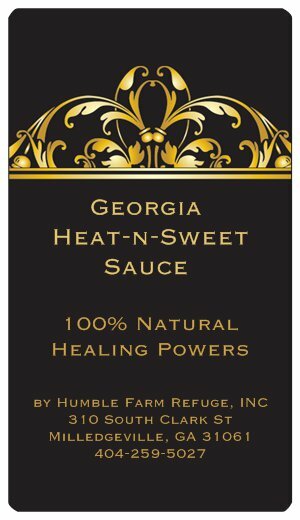 Make your meals healthier with Georgia Heat-n-Sweet Sauce.